Review from a happy mommy :) - DJ PUSHKIN - Bringing Russian flavored dance music from New York to all over the worldDJ PUSHKIN – Bringing Russian flavored dance music from New York to all over the world | Number 1 Euro DJ in NYC and Top Russian DJ in America. 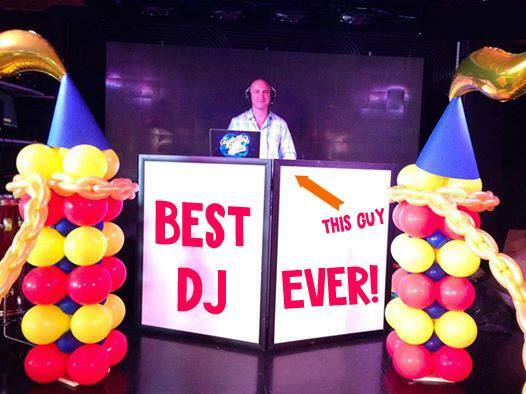 The first of my numerous Reviews and posts : BEST DJ EVER! Alex Pushkin aka Dj Pushkin was absolutely phenomenal! He went above and beyond for our celebration. He did so much more than he needed to..or that we agreed to.. The music was fantastic ( and I am picky when it comes to music ), the photo booth was the best part of the party. He helped me out so much more than he ever should’ve.. from all the setup and time he put in.. to helping me out with the venues audio visuals. Guys I honestly cant say enough good things.I like to work with good people, not just people who are good at what they do. .. and this guys is everything in one package. You are guaranteed a full dance floor and a great time when he is around. Alex my sincerest thank you!!! !